Mesotherapy treatment is commonly used in the cosmetic procedures and recently, it is used also in the hair restoration procedures. The treatment is injected into the fatty layers under the skin to reduce the fat in those areas, for example, the cellulite. The treatment is a mixture of different medications. It is a treatment that can be used by men and women. It is a nonsurgical procedure where a Mesotherapy injection is given directly into the patients scalp for regrowth of hair. It is used to treat male pattern baldness a type of baldness common in men today. Studies show that the rate of hair loss (alopecia) in men and women increases each year. The major cause is the lifestyle that is stressful and hectic at times. Some cases of smoking, poor diet, genetic factors and environmental conditions are leading to hair loss problems in men and women. When is Mesotherapy used in hair transplant procedures? The effective and right use of Mesotherapy can be communicated to the patient by the hair surgeon or a dermatologist. Different procedures are used in the preparation of Mesotherapy treatment. These include Mesohair and Mesoplasty. The patient may need more Mesotherapy treatments that in the period of five months to see viable results. Who goes in for Mesotherapy treatment? Mesotherapy treatment in India has produced many desirable results to patients, which has reduced the need for a hair surgery. Hair Transplant in India is provided at the clinics with the help of experts who examine the patient and devise the right procedure. 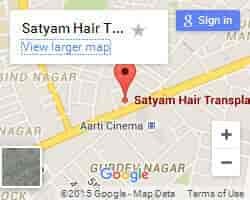 Any step to fight hair loss can be taken with the help of the specialist in the hair transplant sector in India. The cost of Mesotherapy treatment in India requires microinjections to be administered to a patient and so the treatment may vary from Rs.15, 000 to 50,000. This also depends on the surgeon visited for the treatment. Results can completely be witnessed after seven months and depending on how effective the treatment was.